Unfortunately such grand visions do not materialise without some hard labour. Add to this the fact that many of us may not quite have honoured our pre Winter promises to exercise regularly, even in the cold mornings and evenings, and we are all a little more vulnerable to aches and pains and more serious injuries. Particularly after the demand of mowing the lawn seems to increase from once a month to what now seems almost daily. However, with a bit of thought there are things that we can do to allow us to get done what we would like to while decreasing the risk of injury. It is always a good idea to plan what you would like to get done. 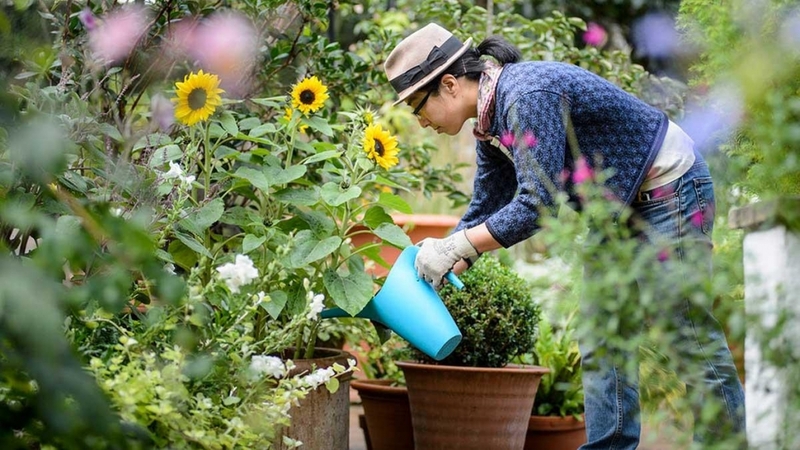 If you have two or three garden jobs to do, then sharing your time between them concurrently will ensure that you decrease repetitive movements and actions that can lead to injury. It is also a good idea to have regular breaks. If you have had a previous injury, such as a back injury, then you are at an increased re-injury risk. During these breaks is a good time to perform a few simple stretches or exercises that you may have been shown to address your problem. Seeking professional advice to manage a problem is also valuable if you do not know what to do. Most commonly back and shoulder injuries occur from lifting too often, reaching too far or lifting things too heavy. It is important to use tools and equipment to lessen the load on the body. Using a wheel barrow to carry tree branches rather than dragging them will decrease stress on the back. Ensuring that your saw or garden shears are sharp and in good working order will mean that your tools do more of the work, not your muscles and joints. 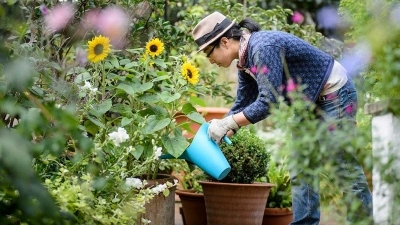 Also using a ladder to reach high points in the garden will decrease stress on your shoulders and neck. Often taking a little bit of time in the preparation of the job is all that it takes. Too often injuries are caused by incidents or tasks that could easily have been avoided with a little forward planning. And with all injuries comes the inevitable frustration of seeing the weeds and lawn grow, and the work that should be done mount up, as you recover from the injury unable to do the things you want to.